What is your favorite personal blogging platform? WordPress is an excellent product for personal blogs for which it was originally developed and very easy to use. But using it for professional websites make them slow, loaded with unused code and full of coding mistakes. That will cause issues with cross-browser compatibility especially with mobile devices as well as really slow loading speed. If you check the wordpress.com website who is selling wordpress blogs, you can see the similar issues there. There are the total of 12 errors and warnings in the code, and the mobile loading speed is poor. Then there are the security issues. I have seen many WordPress blogs hacked and used for spamming and spreading malware. This will happen if you don't keep installing security updates and maintain properly the platform. A website that does not need or use server-side scripting such as PHP and a database is more challenging to hack. My advice: use wordpress for personal blogs only. 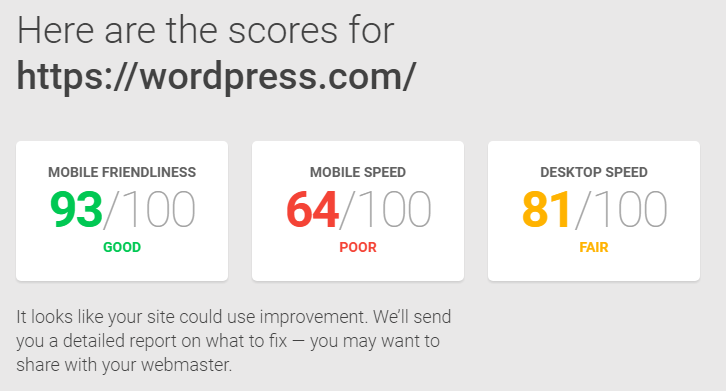 Great effort mate I have been hosting WordPress website from last couple of years and it never let me down. I have succeessful deploy a simple static website of 5 to 10 pages to more than 1000 products complex Woocommerce store. What I have observed is that people usually have misconception about the WordPress security. Anyways thanks a lot for sharing.